IPOPI has embarked on a second patient video testimonial project! In 2014 a first series of videos was produced in English. 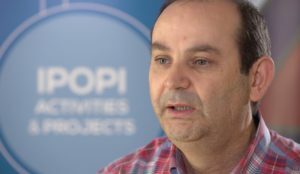 For this Video Road Show project IPOPI is visiting six different countries to produce videos in six languages, with subtitles in English, broadening possibilities for awareness raising of primary immunodeficiencies (PIDs), access to diagnosis, treatments, burden of treatment and PID quality of life. 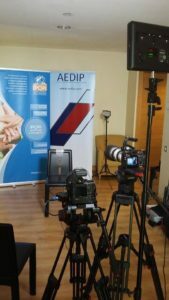 The launch of the new patient testimonials starts today with one video produced in partnership with AEDIP (Spanish NMO). Check here Carlos Jimenez, president of AEDIP talking about the good quality of life of his son thanks to early diagnosis and appropriate treatment. This week more videos in Spanish will be released featuring families, patients and physicians, talking about the importance of individualised treatment, burden of treatment, patient registries and more! Other videos have been recorder in Portuguese, in partnership with APDIP, in German, in partnership with dsai and in Dutch in partnership with SAS. They will soon be released on IPOPITV and on our social media pages. Upcoming recording are scheduled in Poland in partnership with Immunoprotect and in Sweden in partnership with PIO. This project is supported by Baxalta; the rights and ownership of all films are owned by IPOPI and can be used by the co-producing NMOs for their national awareness raising purposes.